The NSW Labor Party says it will commit $11 million to solar skills training for 4,500 electricians if it wins the next election. NSW Labor Leader Michael Daley made the Solar Skills program announcement an address to the Electrical Trades Union conference in Wollongong this week. Labor says the new solar skills training program will educate a new generation of installers in an industry that’s “set to boom”. With safety a priority, Labor promises the scheme will be property accredited and monitored. This commitment illustrates that the lessons of the federal “pink batt” of the last decade has been learned. The announcement comes on top of NSW Labor’s earlier election campaign commitments to renewable energy. Labor’s other promises include the delivery of 7 GW of renewable energy. According to Labor, this would then guarantee cleaner, lower-cost power to over three million homes in the next decade. NSW Labor has also announced its own Solar Homes program, similar to Victorian Labor’s election-winning program. Under this program, 500,000 households with incomes of $180,000 or less will be eligible for rebates of up to $2,200 on solar installations. 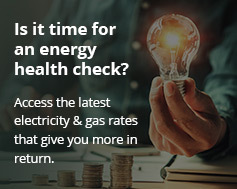 Labor expects this to reduce household power bills by up to $600 per year. Daley says NSW Labor’s commitment to renewables will give NSW homes access to cleaner, cheaper power. He added it will also provide greater investment confidence to businesses in the state. Daley has also communicated that NSW Labor is serious about renewable energy. He says his aim is to make NSW a “global leader of the clean energy industry”, with the benefits going to NSW families and workers. The NSW Liberal & National Coalition government is also promising to deliver on solar power. This includes offering no-interest loans to households to install rooftop solar panels and solar batteries. The government says this will help participating households cut their power bills by hundreds of dollars each year. However, after loan repayment, savings could be over $2,000 per year, according to the Liberals. NSW already has over 400,000 households and businesses with rooftop solar installations. The Berejiklian Government says its solar plan will add an additional 300,000 installations over ten years.